The road to Jiankou is closed by the government because of the forest fire control till 4th May 2019. So the tour will not available in April 2019. Fantastic view from both original and rebuilt Great Wall and crowd-free. This small-group tour is limited to 8 people, ensuring a more memorable experience. 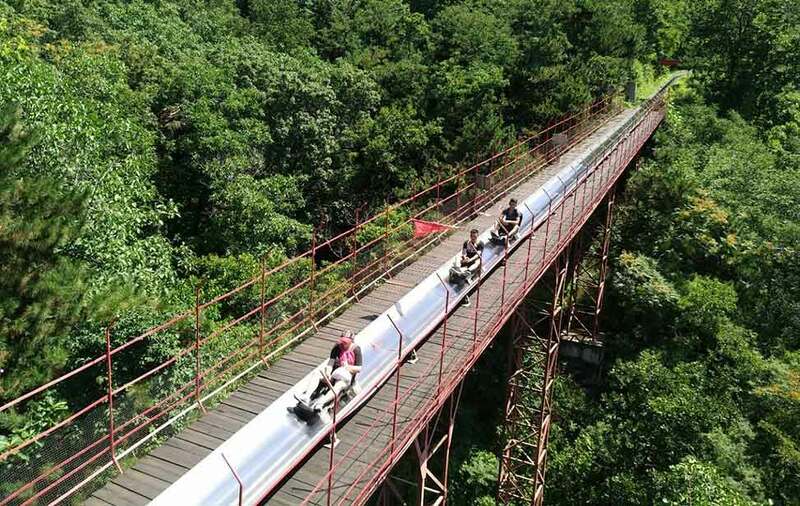 Hike to Mutianyu, toboggan down from the wall (Optional). Delicious lunch in a local Chinese restaurant. (Vegetarian meal option available) Hear entertaining stories and history from an informative guide. 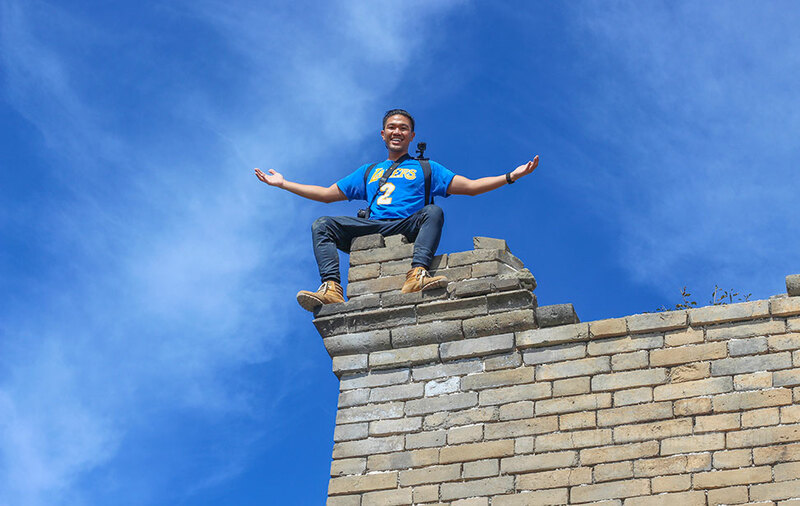 Reviewed November 20, 2018, By Thomas Uncredible Great Wall walking tour from Jiankou to Mutianyu!!! We drove from Beijing in about 1.5 hours with a driver and our guide to Jiankou. From there we have entered the unrestored section of the road via a wooded, steep rocky path. From there we walked to Mutianyu to the fully restored section. It is worthwhile to see both sections of the wall Our highly competent guide Leo photographed us several times and sent us the photos via email a few days after the tour. In Mutianyu, we were picked up by our drivers and taken to a very good local restaurant. We can fully recommend this agency. We did the group trip from Jiankou to Mutianyu on possibly the worst day possible. It poured all day long with lots of thunder, lightning and constant fog. Despite the weather, the trip was amazing and wonderful, the highlight of our time in China. Peter, our guide, was a huge part of it. Peter is energetic and knowledgeable, speaks great English, and in the bad conditions kept our safety in mind. 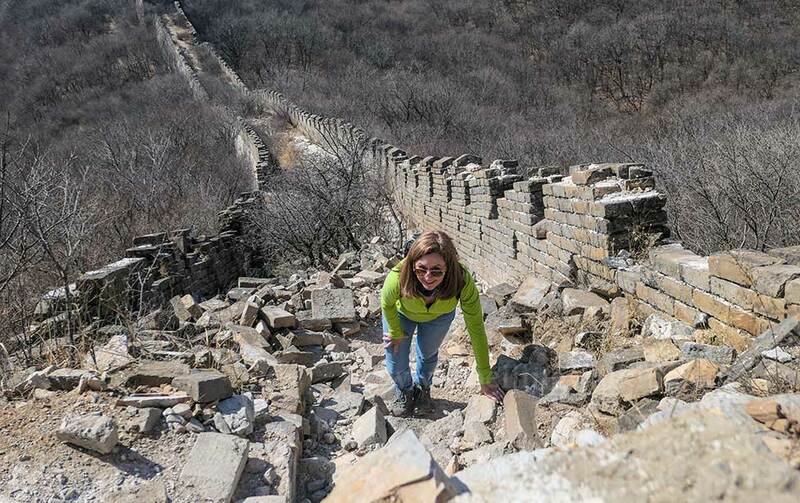 The Jiankou section of the wall is unrepaired and requires some serious care as the edge of the wall has no “railings.” One wrong step and you could fall a long way. But Peter alerted us to the tricky places and made sure we got plenty of rest and water. You really couldn’t ask for a better guide! The hike itself surpassed expectations. It was often foggy, but when the fog cleared the view was absolutely stunning! The lunch we had might have been the most pleasant meal we had in China with Peter there to help us try some new things. We’d do it again. How tough is this hike? This hike is about 11kms (4 hours walk), you can choose to do shortcut at Ox-horn edge and save a lot of energy. If you don’t want to spend more time on your peace, please book our private tour. What to take for this hike? Comfortable shoes or boots is important. We suggest you bring: sunscreen, sunglasses, lip balm, cap. If you need hike poles, please let me know 1 day before the tour. When does the tour have lunch? Is it ok for vegetarians? The lunch usually served after the hike around 2 pm. We choose a very nice local restaurant with excellent Chinese food. There are a lot of dishes suitable for vegetarians. Is there toilet stop on this hike? We will have a toilet stop before the hike started. 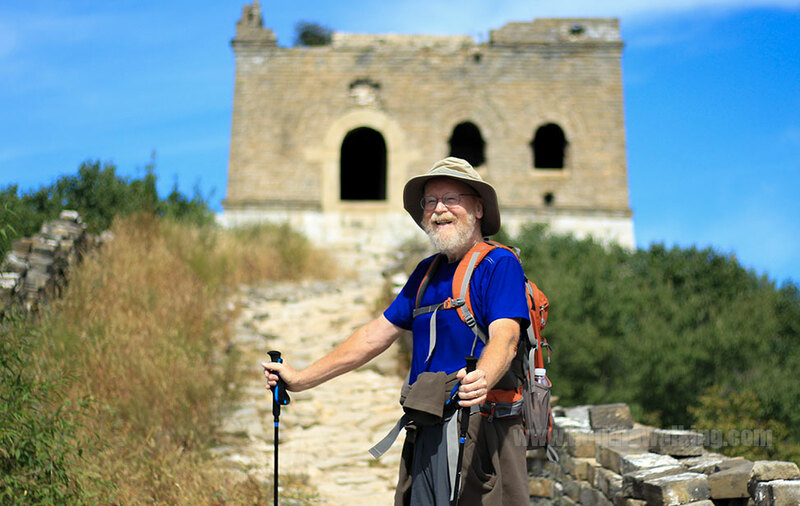 As we will hike the wild Great Wall, the first 2 to 3 hours is only walk in the woods. There is no toilet, but you can choose nature. There is a toilet in the Mutianyu section. What time do you usually drop off at our Beijing hotel? We usually get back to the city around 5 pm, so make your evening plan accordingly. Do you offer a private tour if I want the walk on my peace? Yes, we offer a private tour based on the same schedule. Jiankou to Mutianyu Private hiking tour How many bottles of water do I need to bring? Unlimited bottles of water are stored in our car/van, and you need to carry them. Does the tour happen during the rain or snow? We only cancel the tour during extreme weather conditions. Otherwise, the tour goes on. Please check the weather report and be prepared. What is the tipping or gratuities policy? Tips are always appreciated by our guides but never expected. They should be given if you believe your guide did an outstanding job, and further, if you as an individual want to demonstrate your appreciation for the guide for that job well done. Usually, people give 50 to 100 RMB per person per day. Does this tour go to any shops? We don’t go to any tourist shops, factories, etc. and waste your precious time.